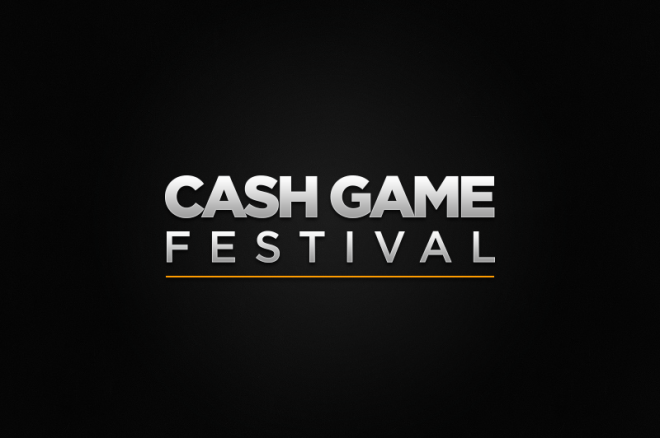 The third edition of the Cash Game Festival runs in Tallinn from November 25-29. Tallinn is set to become Europe's cash games capital with the third Cash Game Festival starting on November 25. From Nov. 25-29, the Olympic Casino in Tallinn, Estonia, will host the third edition of the Cash Game Festival, a five-day event dedicated to ring games. Players at the festival will have the opportunity to play classic games like Texas hold'em and pot-limit Omaha and try some lesser known ones like pyramid poker (a simplified version of pai gow), triple-board five-card pot-limit Omaha, Sweden-invented Sviten special, and a 19-game option dealer's choice. Players will have also the opportunity to play open-face Chinese poker throughout the festival. "Today marks a new chapter in Cash Game Festival history," says Martin "Franke" von Zweigbergk, one of the creators and organizers of the event. "We have increased the amount of tables available 24/7 throughout the five days, we have a larger list of signed up players than earlier festivals and we have agreed with casinos around Europe to take the festival to a country near you starting starting from 2016." Speaking to PokerNews, von Zweigbergk explained that in 2016 the Cash Game Festival is set to travel to Malta and London before returning to Tallinn to celebrate the launch of a new casino currently being built in the only Hilton Hotel in the Baltic region. "The players loved the two previous editions of the festival, and I know this one will be even better," von Zweigbergk continued. "We will have a featured table that will be live streamed online that will make everyone feel like real pros, and we are waiting for some big names from all Scandinavia." "We have got confirmation with players traveling to the festival from Denmark, England, Finland, Germany, Latvia, Lithuania, Malta, Norway, Poland, Russia, and Sweden (as well as a lot of locals from Estonia) for the opportunity to play non-stop cash games. So, yes, we can say that this is truly a pan-European event." Among those expected to join the games at the Olympic are chess prodigy Jeff Sarwer, motorcycle road racer Anastassia Kovalenko, 2014 PokerStars Caribbean Adventure (PCA) finalist Madis Müur, and the winner of the Master Classics of Poker Main Event recently held in Amsterdam, Finland's Jussi Nevanlinna. Chess Prodigy Jeff Sarwer Says "Respect is What Makes You a Dangerous Player"